In just nine months, Canada opens up “Phase 2” of its new cannabis market. This market expansion will open up legal cannabis to millions of people who refuse to smoke marijuana. It’ll welcome in a wide variety of cannabis edibles and beverages – expanding the market overnight. My No. 1 new IPO for 2019 could earn a fortune – click here for details. Molson Coors Brewing Co. (NYSE: TAP) CEO Mark Hunter recently revealed his company’s plans for cannabis drinks. He believes the Canadian cannabis market will quickly reach $7 billion to $10 billion Canadian in annual sales. And the beverage segment could command a 20% to 30% market share. That means the potential market could be worth $3 billion per year! And that’s ONLY in Canada. When you add in the U.S. market, you’re looking at a potential market worth more than $10 billion! Molson Coors plans to be a major player. That’s why the company is working with HEXO (OTC: HYYDF) to form a joint venture called Truss. Together, the companies will work to develop beers infused with cannabis. 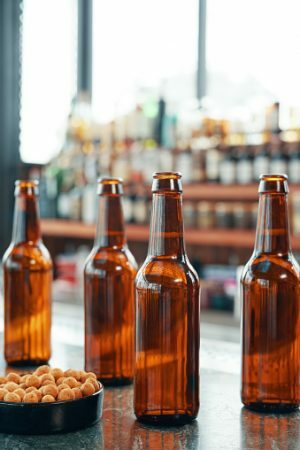 The cannabis beer will be ready to hit the market in October 2019 – when Canada allows retail sales. Molson Coors is “well placed to be ready to take a meaningful share of the segment,” according to the CEO. Big brewers like Molson want a piece of the action in cannabis beer – since regular beer sales aren’t growing. However, it’s going to be the smaller, craft producers that really succeed in cannabis beer. That’s because cannabis consumers will likely prefer the independent beverage producers, instead of the drinks from big billion-dollar brands. You can already see this in the world of microbrews and craft beers stealing market share from the likes of Molson Coors and Anheuser Busch. This trend toward independent producers will be even more pronounced in the cannabis sector. Now, I personally own shares of HEXO and I’m excited about the company’s prospects. However, I’m even more bullish a new cannabis tech stock that’s going public (click here for urgent details). Because this new company is a “pure play” on cannabis drinks with THC and CBD. The company won’t make other beverages. And it doesn’t grow and sell dried cannabis. Whenever there’s a big market opportunity – like cannabis drinks – I want to own stocks that are 100% focused on that business (go here for my No. 1 stock). That’s because I want the greatest upside potential. Let me show you what I mean . . . The company has annual sales of nearly $11 billion. Let’s say that optimistically, the company gains a 20% market share of the cannabis drink market in Canada. That would generate around $450 million in annual sales. What’s the impact to the company’s overall sales? That’s a 4% increase from the company’s existing sales base. What will happen to Molson Coors shares if sales rise 4%? That’s why I’m investing in this new pure play cannabis drink company. The best news is that the company is still private – and it is getting ready to go public. Today, you can BUY shares at the bargain PRE-IPO price . . . before the stock starts trading. I’m personally investing at least $10,000 – and figure you will want to get the details. Go here now to RSVP (it’s FREE). Full Disclosure: Ian Wyatt owns shares of HEXO.